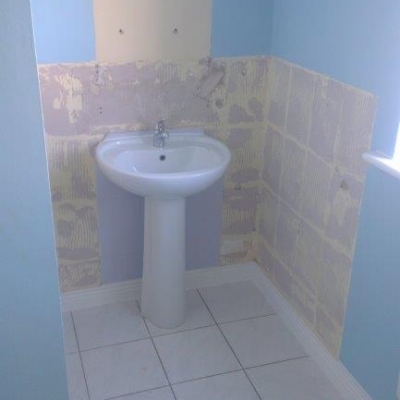 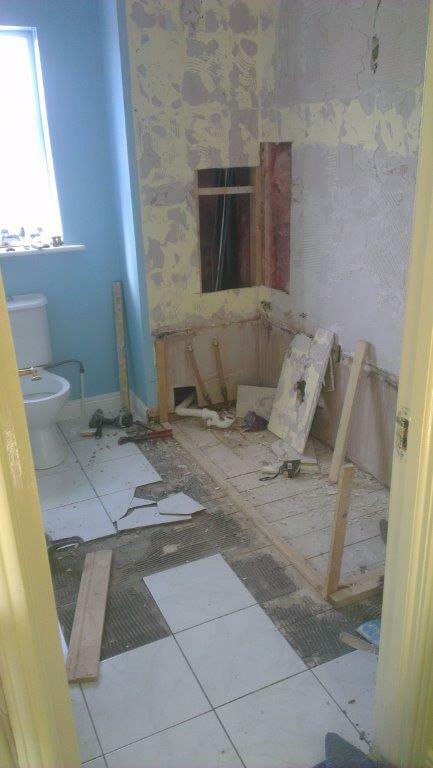 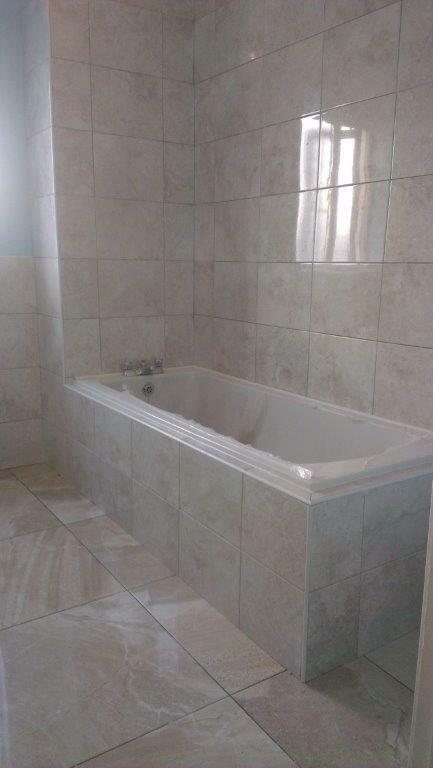 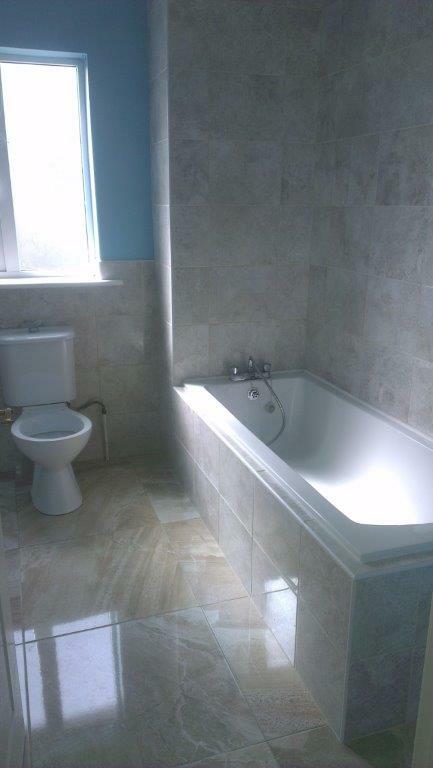 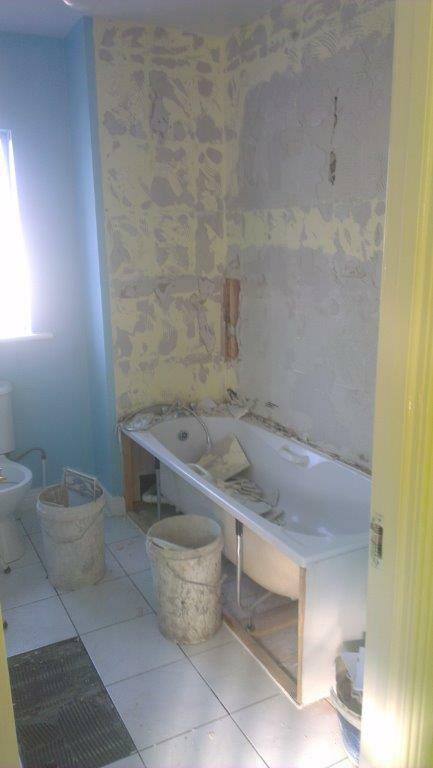 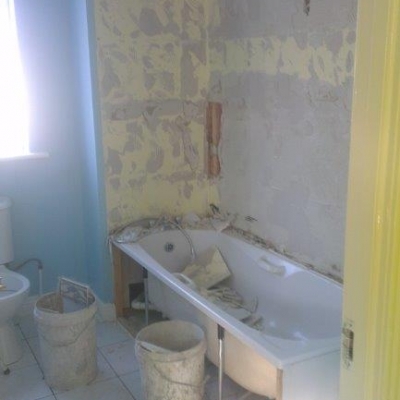 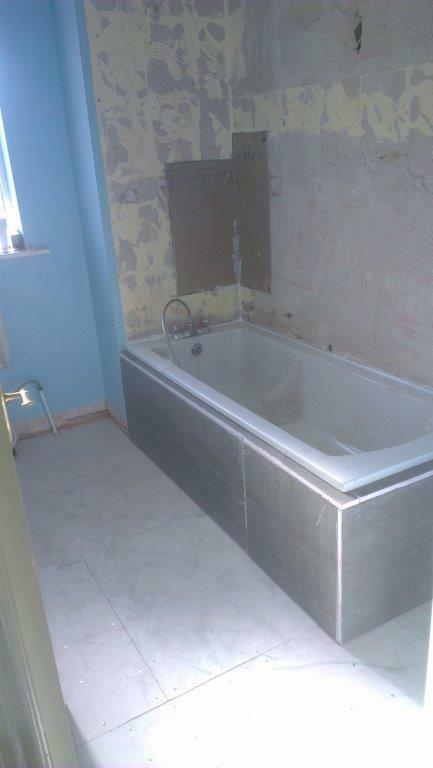 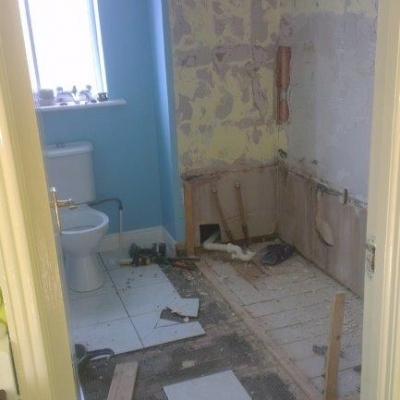 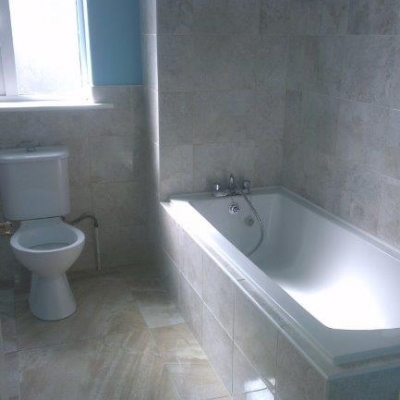 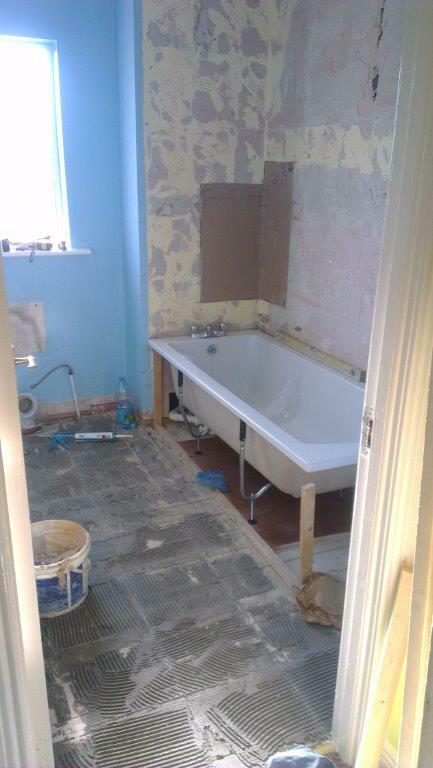 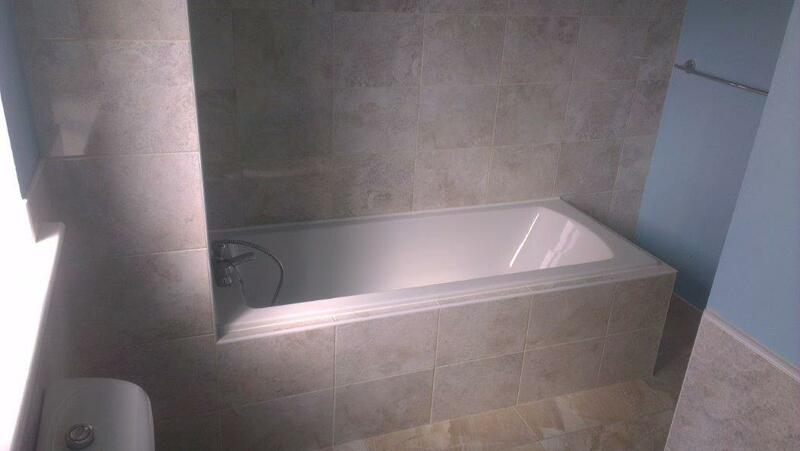 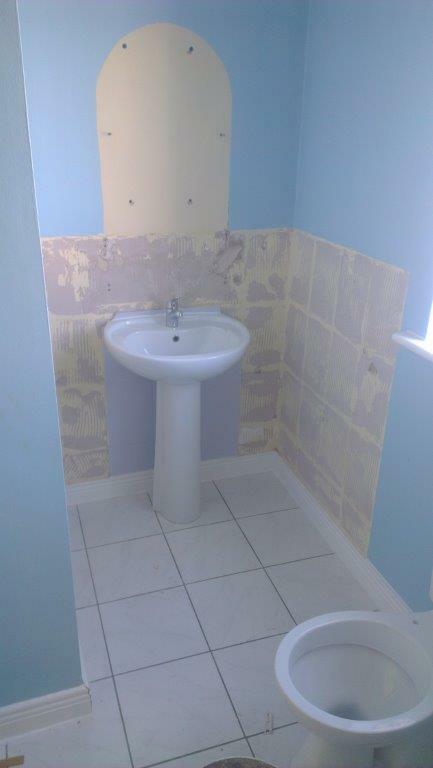 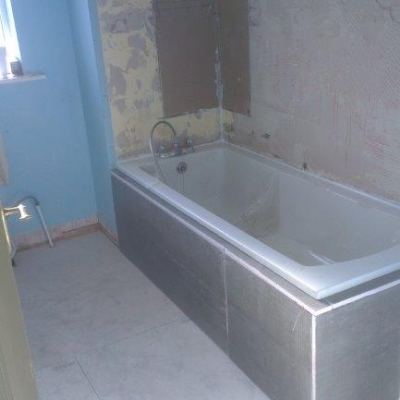 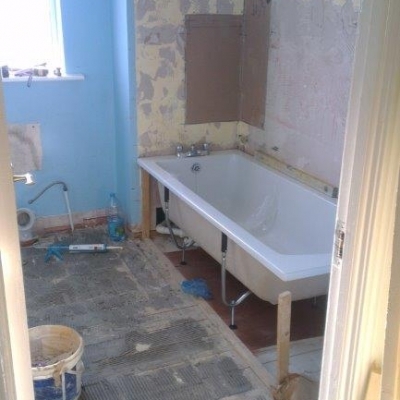 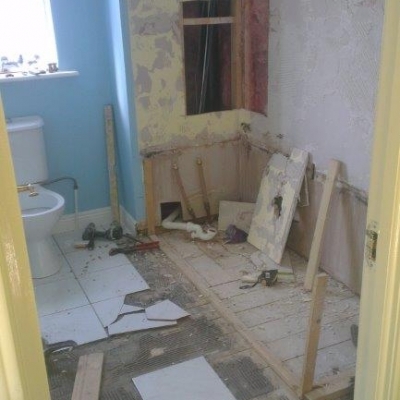 This was a bathroom in a 3 bed semi, the same as so many in Ireland. 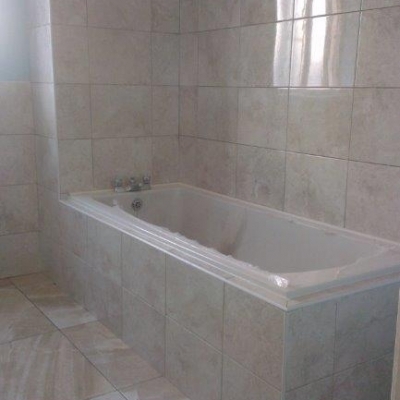 The lady wanted it to be more contemporary and nicer to be in with somewhere to put her candles, but without the costs of a complete redesign. 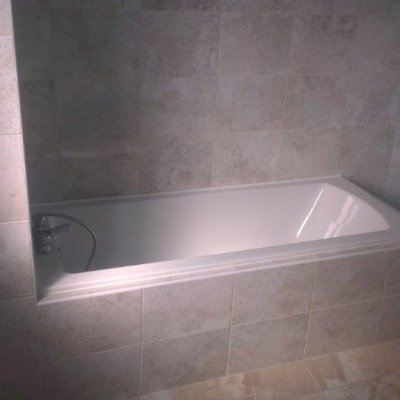 So I suggested fitting a new bath and boxing it in which would give a small shelf all the way around, so she had a place for her candles, and now she loves her bathroom again. 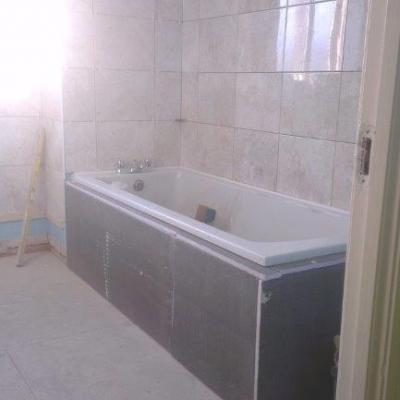 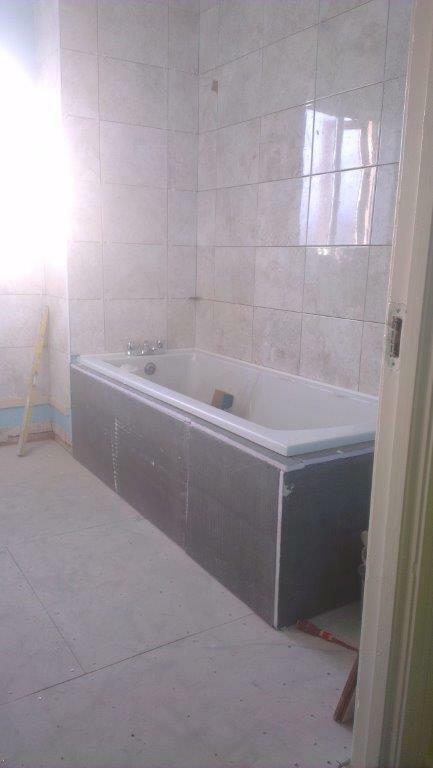 On the floor I put the concrete boards to give strength and then tiled on top of them, if this method of tiling isn’t used the the tiles can come loose as they did previously in this bathroom and the job would have to done again. 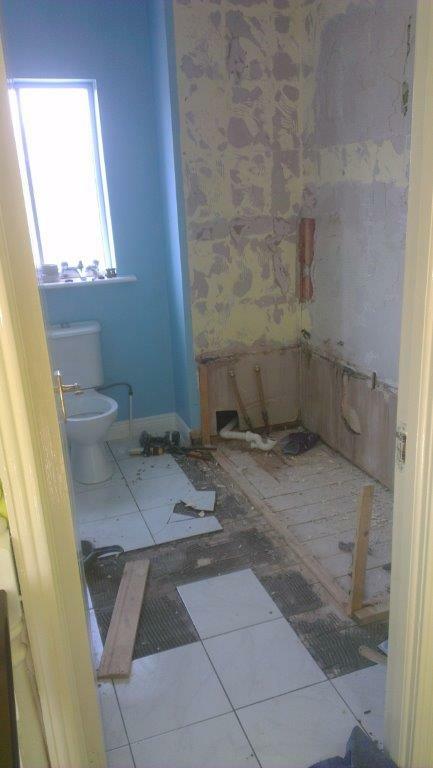 If the grout is cracking and coming loose on your bathroom floor then this is probably happening for you too.